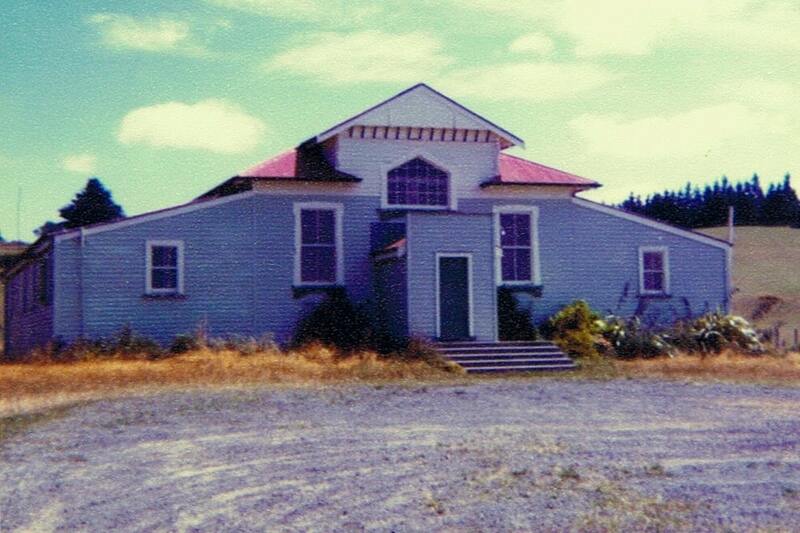 Pictured above is the first stop on the exciting Te Pahu Heritage trail, the mighty Te Pahu Hall. It is but a 50m walk from the Info centre and is very much at the heart of the Central Business District. A series of renovations, extensions and facelifts over the years have kept it in top condition and, if you’ll excuse the lack of objectivity, put it head and shoulders above neighbouring facilities. Not just a pretty frontage, it is used regularly by many local groups such as the Indoor Bowls Club, the Country Women’s Institute and the Monday night Aerobics group, as well as hosting annual events such as the New Years Eve Party ( for this years see Events calendar) the phenomenally popular quiz night and the Flower and Craft Show, among others. It is also available for private functions, for a moderate fee, though available only to local individuals, you understand. If you are not a local and want to hire the hall, the best way to do it is buy some property pronto, get to know a few folk and you’ll have become a local in no time. This distinguished facility is managed by the Hall Committee, who keep it in fine condition and take care of bookings etc. So, to find out how to go about using the Hall, price and conditions, pop over to the contacts page. If you are merely interested in experiencing the hall as part of the Te Pahu Heritage Trail, it is only a short walk from there to the 2nd Place of Interest on the trail, the Helen Clark Celebrity Bus Shelter ( now open!). All early records concerning the building of the hall seem to be lost, but from facts passed on it would seem that it was completed during 1911. The timber was grown and milled in the district. Kerosene heaters and lights were the first source of heating and lighting used, but in 1929 a Westernhouse Air Gas plant was installed. A dance was held to raise funds and celebrate the opening of the new lighting system. Regular dances and card evenings, meetings and church services were held in the hall. In the early days facilities were not as we know them today. Water for tea was boiled in an iron boiler over an open fire, at the back of the hall, wet or fine. It was not until 1926 that a copper was installed in the supper room for boiling water. As far back as 1927 pictures were held in the hall, but because of safety regulations these had to stop. When electricity was installed in 1937 the picture sessions resumed. In the early days the Hall Committee had a very active social committee, who attended to fund raising in the form of fortnightly dances, cards, paddy’s markets – all to raise funds for items like a new piano, curtains, upgrading the supper room, paint and building material. In 1934 the hall was free of debt for the first time and the guarantors were relieved of their obligations with the Bank. Over the years the supper room, conveniences and store room have all been added on. The Hall is the focal point of this community and is used by all organisations in the district. In 1979 it was decided to renovate the hall and plans were drawn up for the renovations to be completed in four stages. It was proposed to build a new entrance area, new toilet and bar facilities, extend the Eastern side of the hall to provide a larger floor and more seating, extend the stage and upgrade the kitchen. Mr K. Brown, with the help of many local men, built the first two stages of the plan. When this was completed a big opening function was held on the 20th June 1981. A grant of $20,000 was received from the Local Sports and Recreational Foundation – through the Raglan County. Plans were then approved for stages three and four to proceed, with Mr S. Tynan engaged as the builder. Work proceeded well, again utilising local voluntary labour and an opening ceremony was held on the 3rd April 1982 to mark the completion. The hall project has been a real community effort. Contributions of materials, labour, money and professional services amounting to thousands of dollars have enabled this project to be completed. Fundraising efforts have included – dances, fencing contract, scrap metal, hay and stock drives, auctions, craft and flower shows, Las Vegas evenings and many more. The exterior has been painted, the front foyer carpeted, the car park has been tar sealed and a new water tank has been installed for a better water supply. To date  $80,000 has been spent on the hall, plus donations of timber, labour, etc. The hall is now debt free..
courage and foresight to tackle such a project and see it completed, leaving us all with a building we can justifiably be proud of.